Ya know, some of these categories just have so many options to choose from. But, with “attacks” in particular, there’s very few truly unique ones. They mostly boil down to “I hit them really hard!” How could I really have a favorite for something like that? My single favorite attack is from One Piece, has only been used once, by Usopp, and comes straight from his bag of tricks. 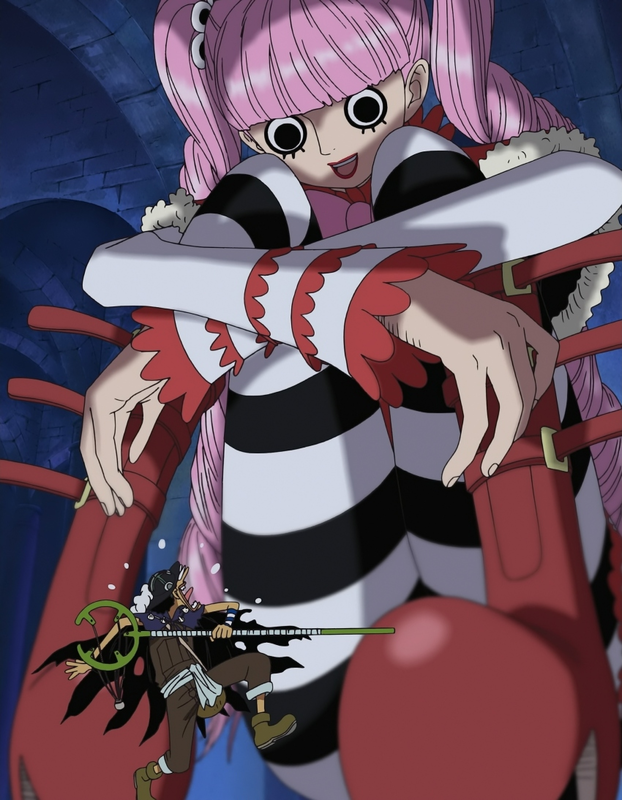 When Usopp is facing Perona the ghost-princess in battle, he finds himself uniquely suited to countering her abilities and seeing through her deceptions. Perona’s abilities, fyi, include creating “ghosts” which can fly, pass through solid material, relay information to her, explode on command, and instantly depress anyone they pass through, sucking away all of their optimism. That last technique is the first part of Usopp’s advantages against Perona, as he is very much a pessimist anyway, and just fights on because he cares for his friends too much to not help them. As Perona has never faced an opponent who was immune to her pessimism attack, she’s put off-balance right away. 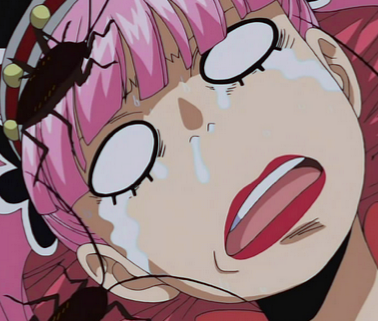 Even more, the conflict suddenly threatens Perona’s physical person directly. She’s way out of her element here, so she turns and runs away, with Usopp in hot pursuit. She’s practically in a panic, running for dear life, but one of her subordinates waylays Usopp for just a few moments, just enough time for him to lose sight of her. After dealing with the subordinate, Usopp resumes his pursuit, but the tables are suddenly turned. Perona is suddenly confident again, exhibiting new powers like flight, changing size, and passing through solid objects, and she repays Usopp for freaking her out so much earlier. While freaking him out, she barrages him with exploding ghosts. Combined with the even more brutish attacks of her subordinate, having finally caught up to them again, Usopp’s life is in real danger. He barely manages to catch his second wind, and as he does that, he’s able to sniff out something strange in Perona’s behavior. Why did she suddenly become so confident? Why didn’t she use these ghost-like powers earlier? And he realizes: she’s actually left her own body! She is a living ghost! In that moment earlier, where he lost sight of her, she must have hidden her body somewhere. He finds it, and unleashes an exploding round to destroy her physical body! She is frozen in terror for a moment… but it’s a dud! And he misses! Using a huge exploding ghost to detain Usopp, Perona goes back into her body, and mocks Usopp. He scared her so much earlier, but she had nothing to fear, did she? He begs for mercy, and she laughs at him, fully intent on finishing him off. The explosion doesn’t… explode! It jut vanishes into Usopp’s hand, absorbed by a strange sea shell he calls an “impact dial.” When Perona, confused, tries to move, she finds herself stuck, her left arm adhered to her bed by a strange, slimy material. That’s when Usopp tells her the truth: the “dud” that “missed” was actually a Sticky Star (Usopp names all of his slingshot attack “something Star”). Now that Perona is back in her physical body, he can finish her off! 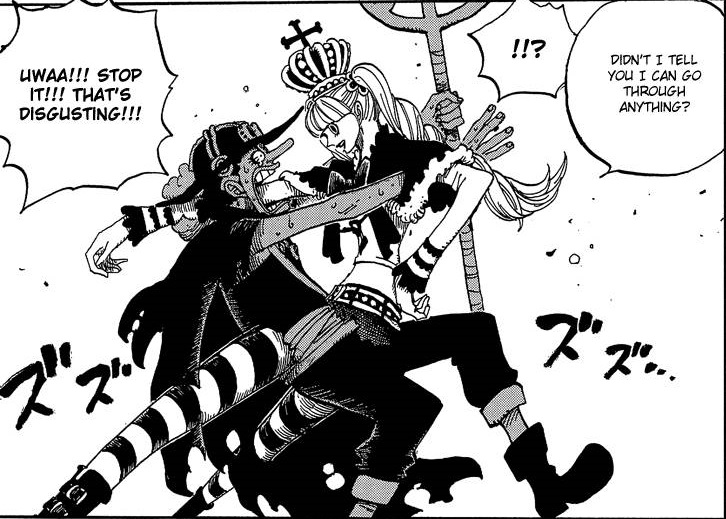 Perona is in a pickle, but another subordinate arrives to defend her! She is happy! …until Usopp lays him out with a single sea-shell-enhanced blow! How can this be? Usopp’s been upsetting her expectations throughout their entire battle, so could he actually be much stronger than he looks? She doesn’t have time to think about that now, as Usopp launches his special attack, “Shiny Black Star!” A large, black ball hurtles towards the immobilized Perona, she brings her arm up in a vain attempt to block it… and it bounces off her arm, landing before her, opening up to reveal a hundred tiny, crawling cockroaches! The part where they set Perona’s silent… then screaming reaction as she freaks out, to classical music, as Usopp says, “AKA, Roach Star!” just had me busting up with laughter! 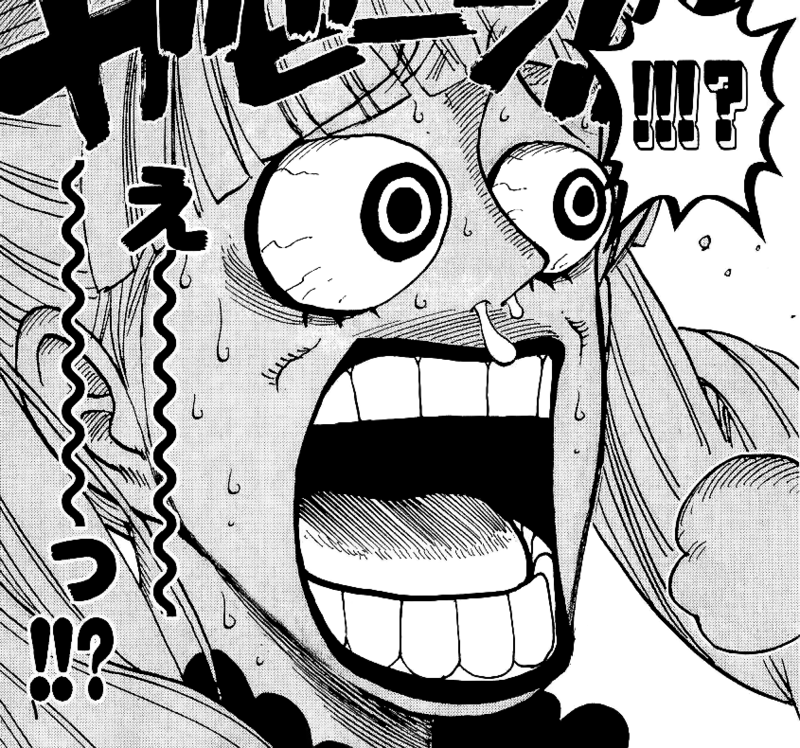 And to top it all off, as Perona struggles in vain, losing her mind from the creepy-crawlies crawling all over her, completely trapped… she again is made breathless with terror as she sees Usopp has suddenly, from out of nowhere, pulled a ten-ton hammer, and he means to use it on her! Perona is panicked, begging for mercy, promising she won’t harm Usopp’s crew, begging for no more cockroaches, and no hammer, please, Lord Usopp, please! He brings it down on a screaming Perona!…. It’s just a balloon, and the roaches were just toys, but the shock of it all finally overcomes Perona completely, and she faints dead away. Usopp waltzes off, happy as a clam at high tide! And why shouldn’t he be? He just defeated a most formidable opponent with a three bluffs in a row, including the “dud” that was the Sticky Star, the toy cockroaches in the Roach Star, and the illusion of his strength provided by the impact dial and a giant hammer balloon. And he didn’t even hurt her! That’s the best part! He just scared the wits out of her until she fell unconscious! The mischief-maker in me just can’t stop laughing at that! I know it’s not the most gentlemanly thing, to laugh at a lady in panicked tears, but she did try to kill Usopp, and he’s not really hurting her, ya know. Though SHE might beg to differ! The best of the three bluffs had to be the cockroaches, but put the entire triple-combo together, and its awesome! My favorite attack: Usopp’s Triple-Bluff against Perona! EDIT: I have a new favorite, now, also by Usopp! This entry was posted in 30-Day Anime Challenge, Anime and Cartoons, Challenge Accepted and tagged One Piece, Perona, Usopp. Bookmark the permalink.